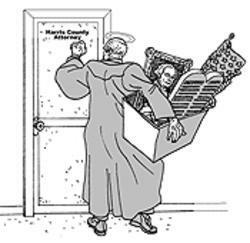 Foreclosure, Reprimanded For Judicial Misconduct, Credit Card Debt, Sinfully Lied About 2006 Opponent, Injury Trial Lawyer, Abruptly Resigns From Bench, This Is John P. Devine And Much Much More! I am very proud to endorse Justice David Medina for Supreme Court Justice Place 4. After four full days of intense research and a lengthy conversation with Justice Medina and Sam Harless, I am convinced that Justice Medina deserves our vote for reelection. It is amazing to me the cruelty that perennial candidate and trial attorney, John Devine, has inflicted on Justice Medina to win this race. It is win at all costs, win by lies, win even if you destroy your opponent, win even if you drag the entire family through the mud. Just Win! To think that I have used my precious time to find out how utterly disgusting someone like Devine can be. This might be a little lengthy, but please bear with me because there have been unjust accusations against Justice Medina, and I do believe that voters deserve to hear the other side. In the almost four years that I have been doing research, this is by far the ugliest and most demonic situation I have encountered. No man is perfect and Justice Medina with his human flaws is just that, human. But John P. Devine and his crew are malicious and plan their evil mischief to do harm. It is unthinkable to me that anyone would go to such lengths to destroy a man just to win. But this case is proving to be a nightmare which could have devastating results if Devine wins. Let’s start by looking at the accusations that perennial candidate Devine has leveled at Justice Medina. In the full page ad distributed at the Republican Party of Texas state convention, Devine accuses Justice Medina of arson, drunk driving, personal use of campaign funds and violating campaign finance laws. The accusatory full page double sided ad was paid for by Texas Truth in Politics. This is what I found on Texas Truth in Politics on the internet, there were no posts. Politics. So who is this mysterious Texas Truth in Politics? Is it possible that perennial candidate Devine is behind Texas Truth in Politics? Justice Medina was cleared from the so called ‘arson’ of his own home. He was never prosecuted and the case never went to trial because there was no evidence, meaning that the investigators could not find any evidence of ‘arson’. In fact, the Harris County Fire Marshall’s office also was of the opinion that there was no evidence of ‘arson’. The Grand Jury hearing was thrown out and no civil case was ever filed. Common sense tells you that there could not have been a ‘conspiracy’ by the police, Harris County justice system and the Fire Marshall. If you are an American, then you should understand and be grateful that we do follow the ‘Rule of Law’. I received an email with information about a grand jury participate sent by Margaret Hotze. ----- Original Message ----- From: "Margaret Hotze"
This flyer was distributed at the Republican State Convention last week by an organization named Texans for Truth in Politics. It has information that many may not know about although the flyer lists several articles in the Houston Chronicle which are available to check on the information source. I have a friend who was on the Grand Jury that indicted Medina but the prosecutor refused to try Medina. The Grand jury was infuriated and threatened to sue but the district attorney said they couldn't because they had vowed that all that occurred during the grand jury hearing would not be revealed outside that grand jury room. In fact, the grand jury had heard 30 cases during the three months they served and all indictments were thrown out. My friend was bound by that sworn statement. About a month later he had a massive stroke and has not been able to speak since. Be sure to read the three newspaper articles cited at the bottom of the 2nd page. Since Medina did not receive 50% of the vote to return to his seat on the Texas Supreme Court, John Devine will now be in a runoff with Medina. John Devine is a strong pro-life friend who served on the board of the Life Advocates and the Foundation for Life before he became a Local judge, famous for having the Ten Commandments hanging at his Courtroom. Believe it on not, when the "anti-commandments" folk filed a complaint, John won. Let us hope he wins in the runoff. John is also from the Houston area, and he deserves our support. And I am sure the Texans for for Truth in Politics will celebrate along with us. You might read the article carefully, check the Chronicle stories, and then, if you decide to help, send the PDF included here to your friends before the runoff. Please open the attached document. It was scanned and sent to you using a Xerox WorkCentre. Here is what I found doing my research. Margaret Hotze is related to Steven Hotze, and from what I gathered is Steven’s mother. According to a Houston Press article by Tim Fleck, Devine is “one of Hotze's favorite officeholders, anti-abortion activist and state District Judge John Devine.”So you can see the connection between the two and the probability of bias in the above email. Margaret Hotze does not reveal the name of her grand jury ‘friend’ and even goes so far as to mention that he suffered a massive stroke. How can so many people be so duped? The supposedly ‘drunk driving’ charge was in reality an improper lane change, and Justice Medina denied the charge of ‘drunk driving’ and exercised his constitutional right to a jury trial. He told me that a video showed that he was not drunk and that he had made an improper lane change. His statement, "It's obviously an incident that I regret" was taken totally out of context in the full page ad distributed at the Texas state convention as the entire comment was not used. Please see the Houston Chronicle article by Thom Marshall dated November 9th 2004. Justice Medina pleaded guilty to an improper lane change paid; his fine and the original charge was dismissed. How many of you believe that Texas Attorney General Gregg Abbott would endorse Justice David Medina if he were an arsonist or convicted for drunk driving? "It's obviously an incident that I regret, but on the same hand, something that I believe that I certainly wasn't guilty of the charge, and I chose to exercise my constitutional right and have a jury trial," Medina said. "I had that jury trial, and the jury hung in my favor." It seems that some people are just not thinking and come to judgment without real evidence. What is happening in America today is very sad; the court of public opinion is weighing over the reality of truth in the actual court room. Public opinion is just plain ‘gossip’; it is hearsay. We are still in America where the Rule of Law is prevalent. Relativism has reared its ugly head and Devine is leading those that are weak, those that allow his kind of infectious poison to infiltrate their minds and hearts. Too many candidates are tardy or forget to meet deadlines reporting their personal financial statements giving their opponents ammunition for complaint. And it seems Justice Medina gave Devine some fuel. But this does not make them ‘bad’ candidates. Perennial candidate Devine ran in 2002 for Harris County Attorney and lost. He ran in 2004 for the Tenth Congressional district and lost. He ran in 2006 for Texas State House District 126 and lost. He ran for Judge 221st State District Court in Montgomery County and lost. 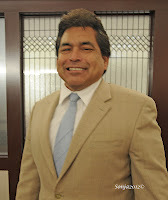 Now he is running for Texas Supreme Court Justice Place 4 against incumbent Justice David Medina. I am sure that perennial candidate Devine did his homework and felt that he could exploit Justice Medina’s misfortune. I spoke to Sam Harless, husband of State Representative District 126 Patricia Harless. This is what he told me. State Representative Harless ran against Devine in 2006. During the campaign Devine wrote a despicable letter and addressed it to Sam Harless accusing Patricia Harless of having an affair and that their son was not Sam’s son. This was not the only allegation that Devine accused Sam and Patricia Harless of doing, but this one was the most shameful and sinful accusation. Do we really want this vile perennial candidate Devine to sit on the Texas Supreme Court? Absolutely NOT! Sam Harless emphasized that “Devine has no morals, no integrity” and that he needs a job because his house was foreclosed. Devine's foreclosed one million dollar house is in High Meadow Ranch subdivision in Magnolia, Texas. According to Harless, this information is common knowledge. I easily found this information using Google. Devine was sued by American Express Centurion Bank and the American Express Centurion Bank won the suit.Devine appealed to the Court of Appeals Ninth District of Texas at Beaumont and the results were basically the same. We conclude that the evidence submitted by Amex is sufficient to establish the agreement was breached and Amex incurred damages in the amount of $21,763.75. Based on this record, we conclude the trial court did not err in granting summary judgment for the balance owed under the agreement. The Law firm that Devine represents or represented Woodfill & Pressler LLP in Houston, is being sued for $30M. And for some reason the entire law firm is being sued. Appears to me that what people are saying about Devine is backed by evidence that he ‘lives paycheck to paycheck’ and his behavior of resigning his 190th District Court bench without any explanation is irresponsible to the people that voted for him. When Devine walked off the job in 2002, he had been in office since 1996. He left his bench without notice and packed his ‘bags’ which included valuable pieces of art and antiquities valued at about $40,000 all bought with campaign money. Shouldn’t he replace the money back into the campaign fund? So here is a man pointing fingers at Justice Medina while all the time he has had his hand in the cookie jar. Consultant Allen Blakemore said of the situation, “The guy's been all over the map. He ran for Congress once before. It was widely rumored he was considering three different races, and twice during the year rumors circulated he was leaving imminently to join a law firm. All this says one thing: not that John Devine wants to be county attorney, but that he wants not to be a judge anymore." According to the same article, “Woodfill has received $88,565 in payments for mediation and ad litem fees authorized by the 190th District Court.” And that is exactly where Devine landed, working for Woodfill’s law firm. So here we have Devine promoting himself as ‘Christian’ and there is nothing remotely Christian about his actions. In 1996 he was publicly reprimanded by the Texas Commission on Judicial Conduct for conducting political campaigning for the congressional seat from his judicial chambers. Devine was heavily financed by Democrats who contributed to his ‘cause’ while running for Republican office. Justice Medina has been endorsed by Right to Life and so has Devine.Justice Medina is endorsed by Alliance for Life for both the Primary and the Run Off Elections, while Devine is not. We are talking about qualifications as to who is more suitable to be a Justice for the Texas Supreme Court. It seems that all Devine had done is bear false witness against his opponents. Could there be a pattern of making up nefarious scenarios in his quest for office? In the meantime Justice Medina has been involved in taking care of business for the state of Texas. The Open Beaches Act case was a landmark decision and I think it’s essential that you read Justice Medina’s dissenting opinion. It is important that we understand the enormity of the scope of knowledge that the Justices have to have. Although in the minority, Justice Medina’s opinion has been recognized for being well reasoned and well written. The 2012 Texas State Bar Association results for the annual judicial poll is revealed below and just look where Justice David Medina stands as opposed to Devine. Devine is at the very bottom, voted last among his peers. Let me just say that there were some very obvious red alerts from Devine, such as his mimicking of the 10 Commandments lawsuit like Judge Roy Moore. He is not endorsed by Judge Roy Moore. A very nasty negative, full page double sided, ad distributed by Texas Truth in Politics which is an apparent bogus group. A true Christian would not want to profit from another man’s misfortune. I received a negative message about Justice Medina including a YouTube video along with a YouTube video of Devine’s infant daughter’s death, which was unsettling for me as it promotes Devine’s race. The fact that he walked off from his elected position should be enough not to vote for him. If Justice David Medina does not win reelection, it will be a very sad day for Texas. It will prove once again that negative advertising in Texas politics is alive and well and that a Hispanic surname is still a minus in winning reelection. This of course, will not sit well with the millions of Hispanic American Texans who are ready to vote in the November election.